Our client - a 32-year-old woman - was rear-ended while stopped on Interstate 405 in Renton, Washington on May 6, 2002. The woman's car was damaged, though she was able to drive away from the scene. The defendant, a 23-year-old woman, was cited for inattentive driving. Our client drove to work but then left after a few hours due to severe pain to her neck, shoulders, back and hip. She saw a doctor the next day, who diagnosed her with a severe sprain to her neck and back, and contusions to her chest and left breast. She was referred to physical therapy and given medications for pain. The woman decided to see a chiropractor for her ongoing neck and back pain. A cervical spine MRI revealed a small bulging disc at C5-6. Her neck pain largely resolved after one year. Approximately one year following the accident, her low back pain worsened. She was admitted to the ER at Evergreen Hospital in Kirkland, Washington. The pain had worsened by going down her legs and into her right big toe and she continued to see a chiropractor for the pain. 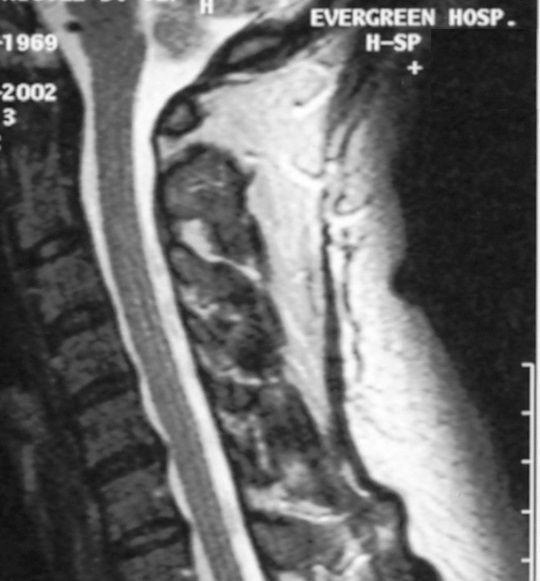 A lumbar spine MRI was ordered in October 2005, which revealed a protruding disc at L4-5. Our client was referred to a neurosurgeon who did not believe surgery was necessary. The neurosurgeon advised her to continue with chiropractic care since her complaints were being managed with this treatment. She later sought a second opinion from a doctor that specializes in minimally invasive spine surgery, who also advised her to continue with chiropractic care instead of surgical intervention. Mr. Davis attempted to settle the woman's case after she underwent the lumbar spine MRI in October 2005 with Farmers Insurance, the insurance company for the at-fault driver. Farmers ignored his offer to settle, and at that point Mr. Davis started to prepare for trial. He met with the victim's doctors and prepared trial exhibits. More than $5,000 was incurred in litigation costs. About one month before trial, Farmers Insurance finally offered to settle the case for $50,000. Mr. Davis advised his client to reject the offer and go to trial. The attorney hired by Farmers requested that the case be heard by a jury and paid the required jury fee to the court. Trial began on June 22. Mr. Davis presented just 4 witnesses, including the plaintiff, a friend of the plaintiff, and two doctors. After 3.5 hours of deliberation, the jury awarded $500,000, including past economic damages of $18,205, future economic damages of $275,000 and noneconomic damages of $204,394. A jury awarded $500,000 to the victim of a car accident who suffered serious neck and back injuries after being rear-ended on I-405 in Renton. Attorney Chris Davis attempted to settle the case, but Farmers Insurance ignored his offer.